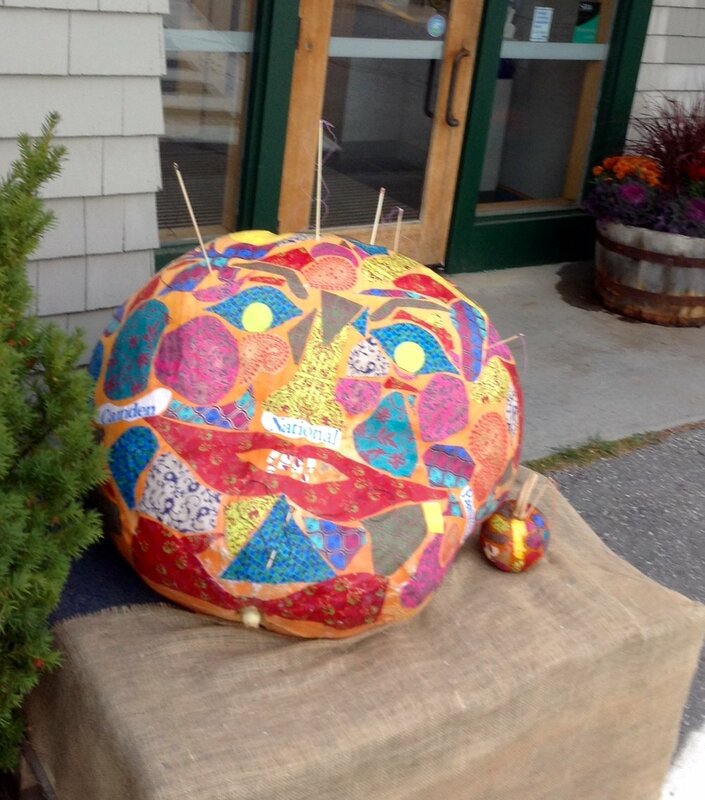 All year long I look forward to working as one of the volunteer artists for the Damariscotta Maine Pumpkinfest. I dream about what character, design or theme my pumpkin might suggest. The event is held in October and scores of volunteers work to grow, paint and carve giant pumpkins, many weighing in excess of 1,000 pounds. An inventive and salty group carve them out, attach engines to them and race them on the river, in a rousing pumpkin regatta. 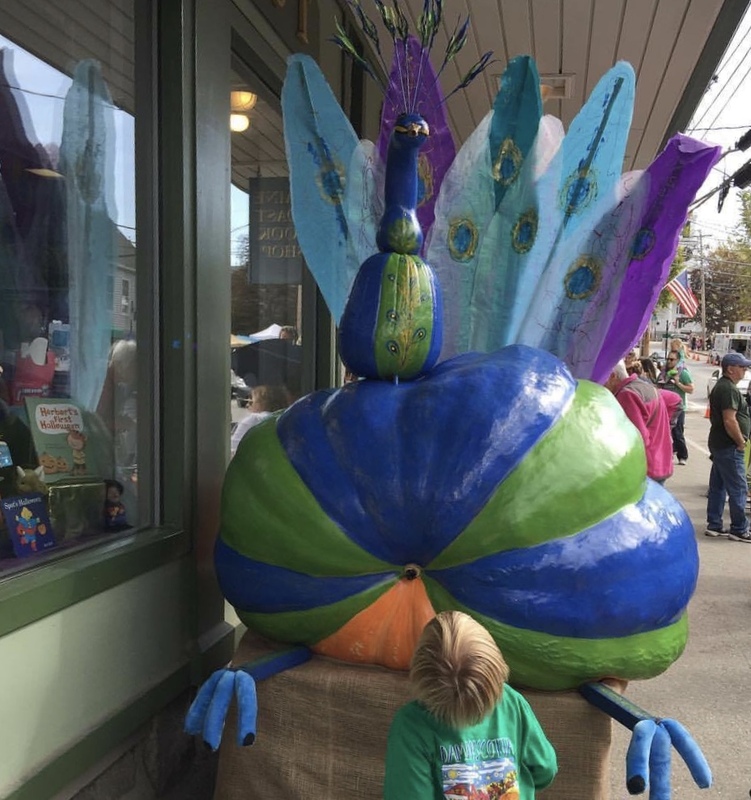 Every pumpkin food imaginable is served under tents and on the street, thousands of visitors come from all over New England to enjoy an array of decorated giant pumpkins that line the sidewalks and watch a lively musical parade travel down the main street of town. It makes clear how important a role the arts play in the revitalization of small rural communities and I am proud to take part in it. Here are a few examples of the pumpkins I've done over the years, sometimes in collaboration with my friend and fellow artist, Amy Williams.